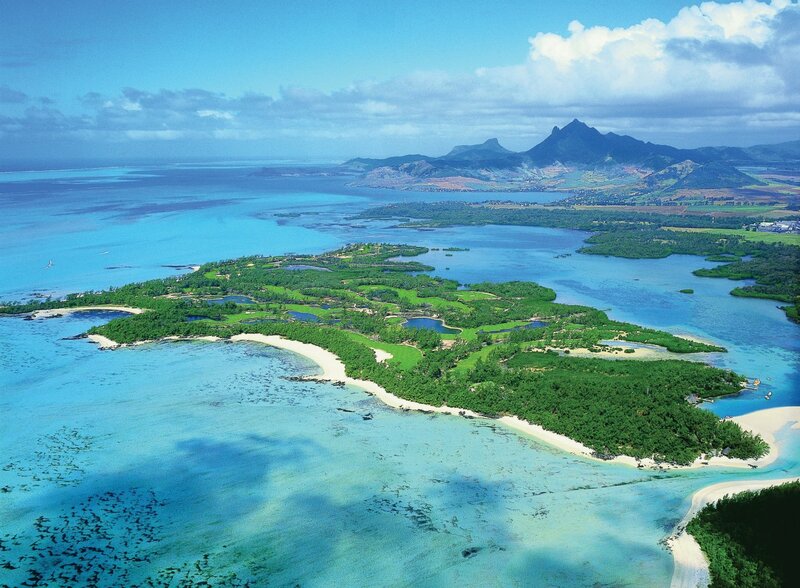 The south west coast of Mauritius is unspoilt and beautiful. I love the simplicity of the natural forms of the coast, its empty beaches and the expanse of the ocean heading south with next stop Antarctica. 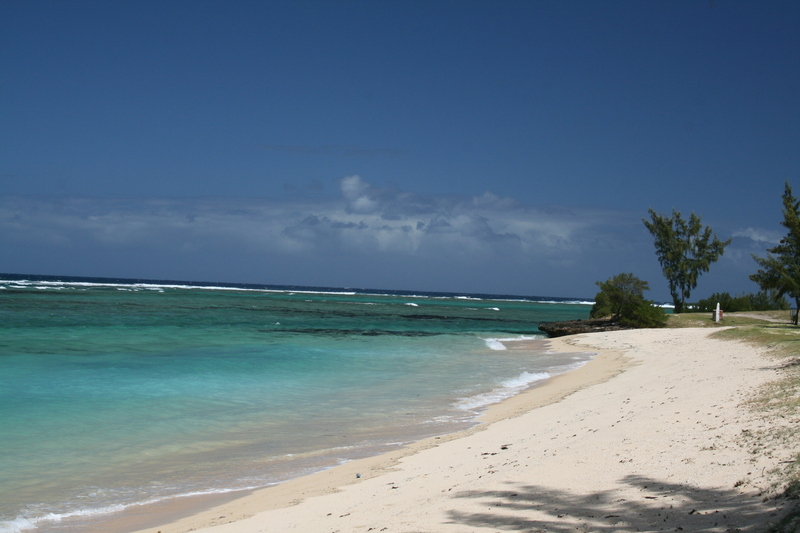 The different colours of the blue ocean are mesmerizing and the warm breeze is invigorating. We stopped to take in the view and refresh ourselves on the sweet local pineapples. 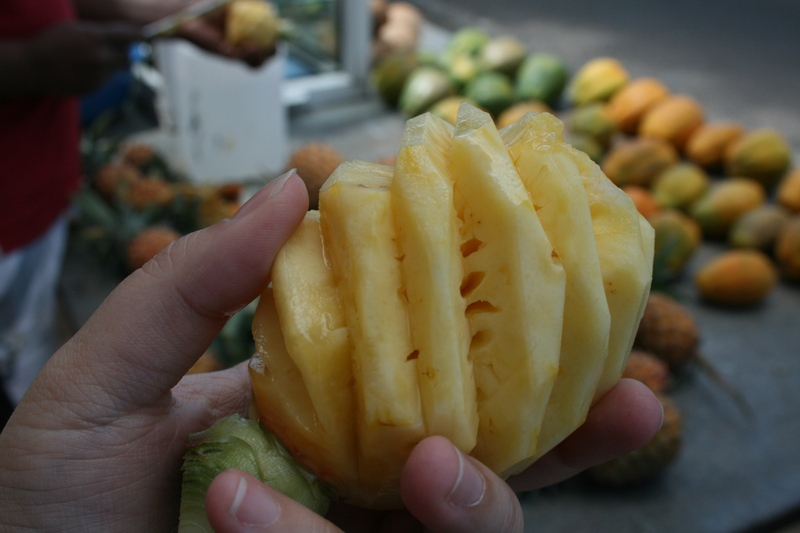 The happy vendor chatted away as he skillfully prepared a pineapple to eat like a toffee apple. 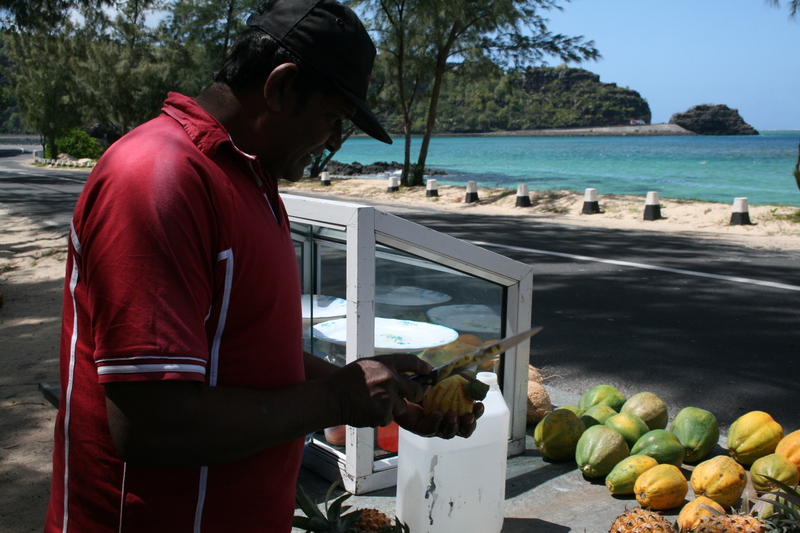 We were also tempted by the delicious papayas and watched a passerby have a coconut opened for a refreshing drink. 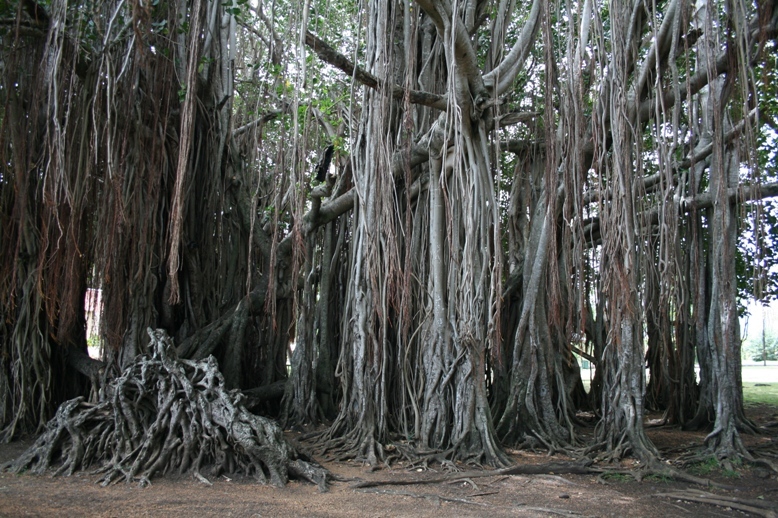 At Case Noyale we came across the most magnificent banyan tree and wondered at the various directions the branches had taken over the many years. 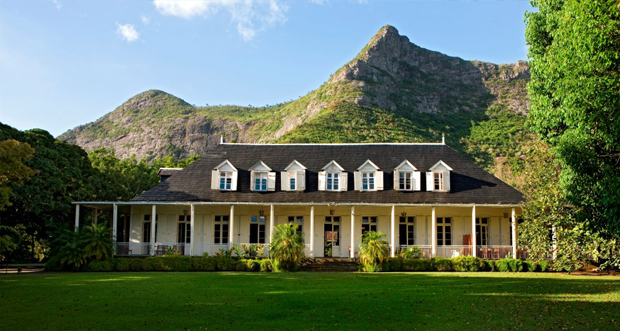 Le Morne is a UNESCO world Heritage site and this magnificent rock is the backdrop of Villas Paille en Queue. The mountain was used as a shelter by runaway slaves, maroons, through the 18th and early years of the 19th centuries. Protected by the mountain’s isolated, wooded and almost inaccessible cliffs, the escaped slaves formed small settlements in the caves and on the summit of Le Morne. 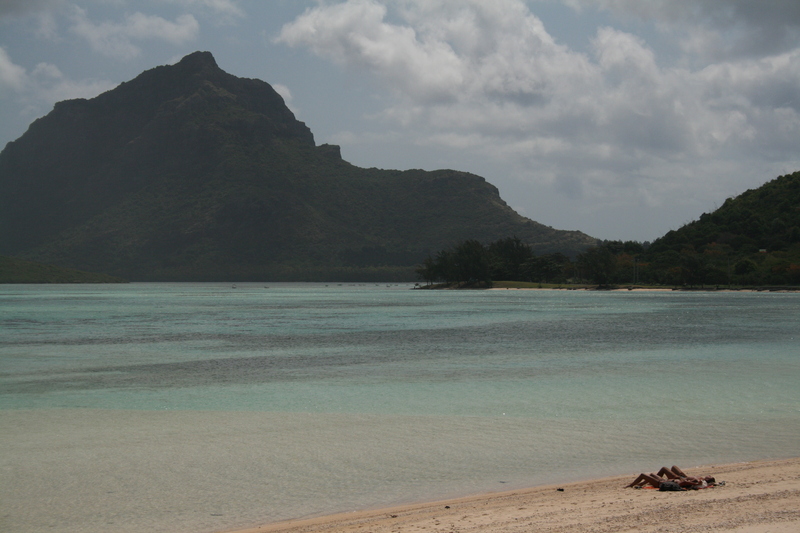 The oral traditions associated with the maroons, have made Le Morne a symbol of the slaves’ fight for freedom, their suffering, and their sacrifice, all of which have relevance to the countries from which the slaves came – the African mainland, Madagascar, India, and South-east Asia. 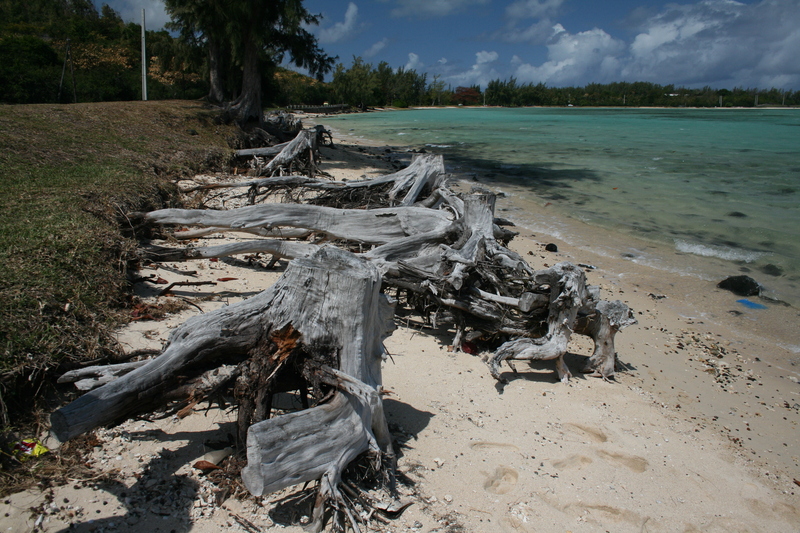 Like many of the coasts the sea is rising and on one part of the coast we found these wonderful shapes of tree stumps washed by the sea. I enjoy the sight of the filoas trees which line most of the coast and the wind sings in their branches. Along the coast there are plenty of places to pull up and relax in the sun and have a picnic. 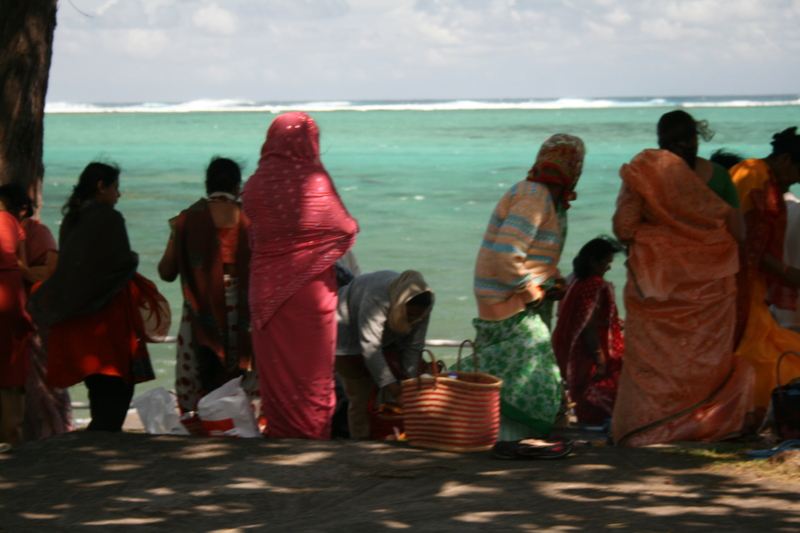 We delighted at watching a colourfully-dressed ladies outing arriving by bus and taking their picnic onto the beach. 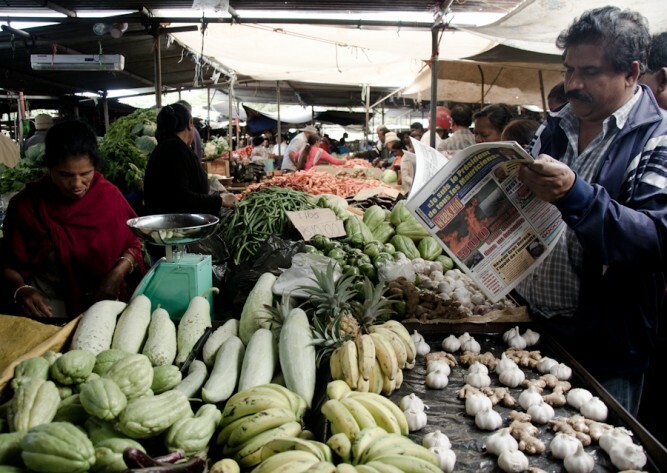 We thought of all the weeks of excitement – choosing the best sari to wear and what to prepare to eat. We could imagine the afternoon’s warmth, laughter and friendship by the shore.